Just last week, we have shared a bottle of wine over lunch with Will Harlan, the son of Bill Harlan and the second generation of Napa's first growth, Harlan & Bond Estates. The exciting meet-up wasn't for Harlan & Bond though; it's for the newest and highly anticipated wine they recently launched called "Promontory." 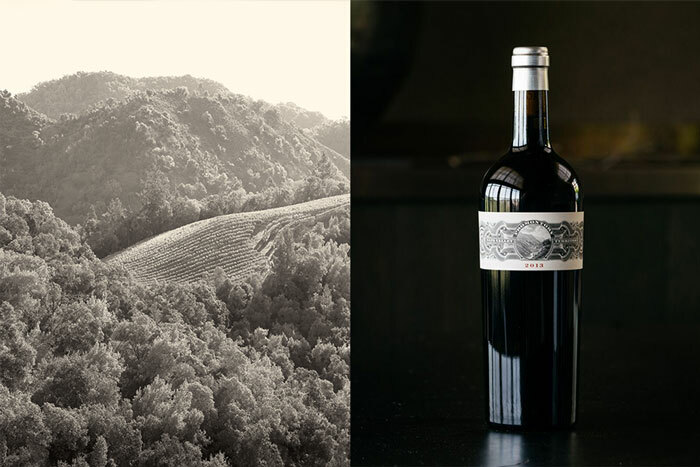 A cabernet-based wine with a far different story from the former, different soil, at a higher elevation, and a place where you would feel thousands of miles away from the rest of Napa. Promontory is a new shift led by the second generations of both the Harlan family and their winemaking team but has initially been scoped out by Bill Harlan. Bill discovered the place, an impressive topography, and wild terrain in the early 1980s, but only acquired it in 2008. Since then, they began working on it and make discoveries such as the geologic convergence of the land that make it so rare and unique in the world. Their full study of the soil reveals a whole new metamorphic soil type that doesn’t exist anywhere in Napa, aside from volcanic, and metamorphic soils. Combining altogether, the place truly makes an exotic winegrowing environment. Out of 42 hectares of this magnificent land that Harlan's family acquired, only less than 10% of the vine makes the Promontory wine with approximately 25,000 total bottle production. Exports are around 40% of the total output and are exported through Place de Bordeaux, another different approach from their Harlan & Bond wines. Since the released of 2009, their first official vintage, aficionados, and wine critics find it extremely promising, and the latest 2013 release has achieved an almost perfect, 99 points from The Wine Advocate and described as a stunner and accessible with greater integration of tannin and tastes spectacular.